Thread: Viper GTS Replica Fans! I know this is a site for fiero related kits, But I just had to share my latest find with you all! How sweet it is, The top even comes off! 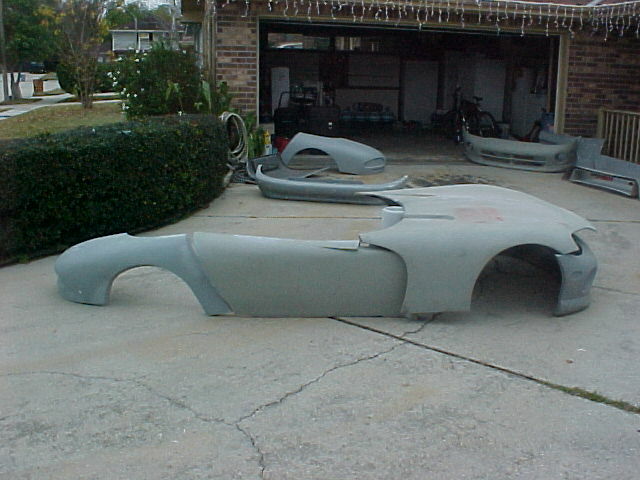 Re: Viper GTS Replica Fans! That has to be the Colin Herd viper from scotland. Do they have US Representation yet? Did you get my message with the F car sources? Back to the viper. I recall in kit car magazine there was an ad for someone in toronto claiming to make a viper replica. Anyone remeber the details or heard anything on it? Is this another one of those Mail boxes Re-labled as a Suite? ??? Can Someone in the Toronto area check this out for me? I have the phone number but all i got was voice mail. requires corvette donar , manager did not specify extact year but im assuming like the venom kits, requires 1980's model year vette. "ONLY 1 KIT LEFT" after 3 weeks they will be no longer having the molds in their possesion. I beivleve that the molds may be given to original factory owners however im not that sure on all of the details because i only had a brief encounter with the owner of the shop, however im just reporting this minor information, however 360wanna_be will be posting up more information as they become available.